Ted Cruz is positively SICKENED by how low the liberal media is willing to go “to attack and destroy” him and everyone he holds dear, specifically with claims that he keeps trotting out his kids like trained monkeys. 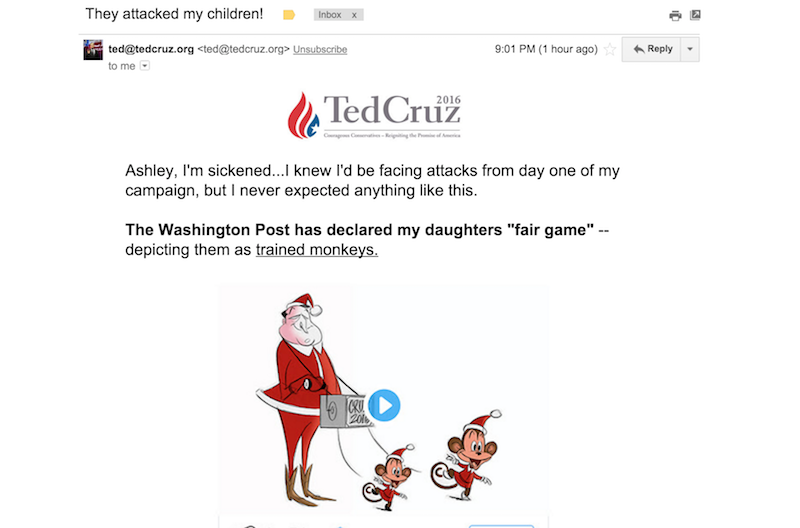 So to retaliate Ted Cruz has decided to.... trot out his kids like trained monkeys and beg for money. The cartoon pretty explicitly mocks Cruz’s shrewd campaign tactics and the ways in which he plays puppet master with his own daughters—not the daughters themselves. Cruz, however, seems to have missed that point. It’s generally been the policy of our editorial section to leave children out of it. I failed to look at this cartoon before it was published. 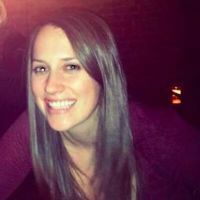 I understand why Ann thought an exception to the policy was warranted in this case, but I do not agree. 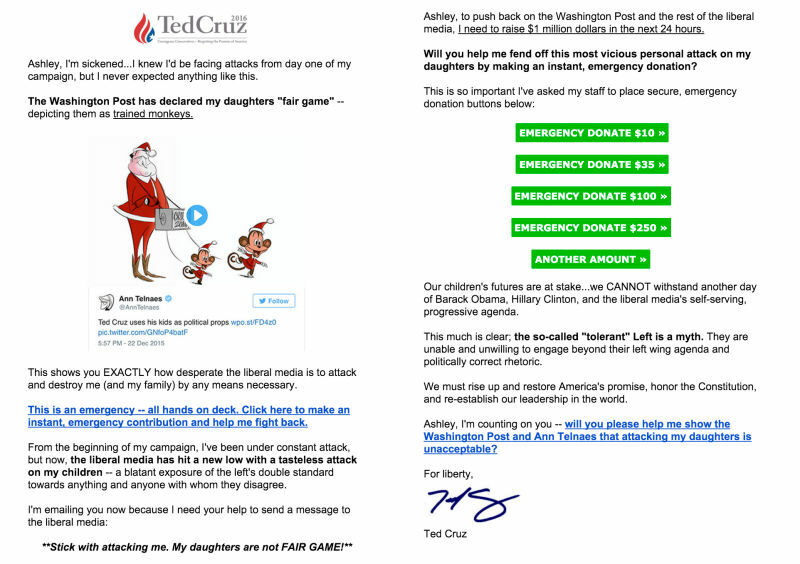 And Cruz, to prove just how much he doesn’t use his children for his own personal gain, sent out an email blast that put his children front and center for his own personal gain. Yes, “to push back on the Washington Post and rest of the liberal media,” he NEEDS to raise $1 million dollars in the next 24 hours. It’s the only way. Because Ted Cruz is sickened, he tells you. Just sickened. Now that’ll be $1 million, please.